Cowlicks get no love from us but they sure as heck cause havoc. Our reader Eapragar inquired about those pesky cowlicks in our Curly Q&A and we had to oblige in helping anyone who experiences frustrating and ever-annoying cowlicks. How can I hide the cowlick on the back of my head? I have 2b type hair and I have a massive cowlick on the back of my head. Because of this my part goes halfway down the back of my head even when I move my part to a different spot. Since I let my hair air dry, how can I hide this? There are a few tricks to make a cowlick behave because cowlicks are just a lock of hair that grows in a different direction than the rest of the hair. They form in utero so once you have a cowlick that sucker is there forever. While it refuses to comply and cannot be corrected, you can get it to behave or at least fall in line enough to mask it. Here are some tips that should make you whip that cowlick into shape! As if we need another reason to love being curly girls, curls actually help to mask a cow lick. The idea is to make the non-cowlick side mirror the cowlick since trying to fight the cowlick can be quite impossible sometimes. That may require placing clips in your hair while wet in the cowlick area so it complies nicely or placing a roller on damp hair to set overnight. While you won’t get rid of it, you can try and get it to curl in the direction of the other hairs while sleeping. Gels and pomade can work in your favor on making the cowlick lay as you want it to. While hair is wet, apply gel through the hairs in the cowlick and make sure to get the gel all the way to the roots. Styling product would be a great idea to help the hair hold into place with a blow-dryer with a diffuser attachment. If working on dry hair try a pomade. The object is to do the same thing by applying the pomade on the cowlick hairs from root to tip and style it in the direction you want it to set. I hate to put this on the list but it is an option. 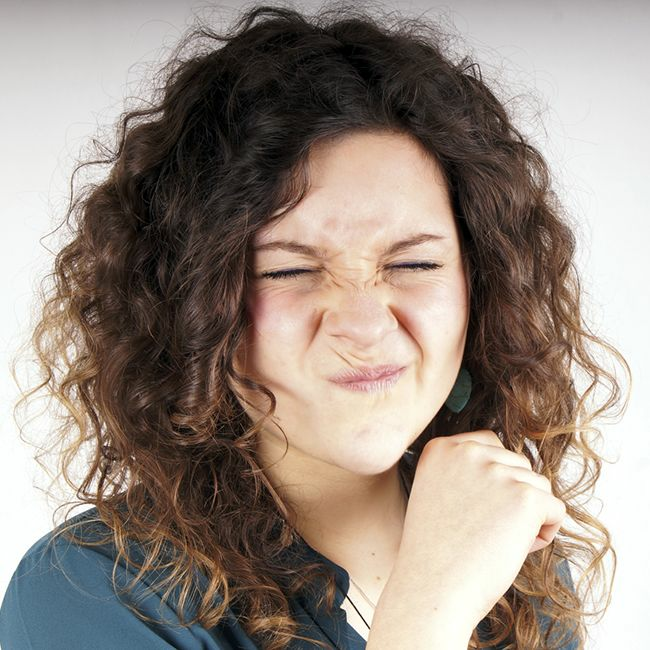 Our curls are delicate so using heat too often (daily or weekly) should not be a go-to for cowlick removals. Heat styling will allow the cowlick to comply with the pressure from the heat appliance and remember to use a good heat protectant, preferably one with silicones! The great thing about going straight when you are curly is that there are several ways to straighten your hair without using heat. Roller setting, Curlformers or banding are great ways to straighten the hair without heat and also force (at least for a little while) the cowlick to lay in the direction of the other hairs. Alright, not really getting rid of it but hey, on those days when you just don’t feel like fighting it or the cowlick unfortunately won the fight, just opt for styles that hides it altogether. Buns (high buns, low buns, side buns and messy buns) are great, ponytails, hats, and scarves are not just great styles for bad hair days. They can mask a cowlick with ease and will get you out the door faster.